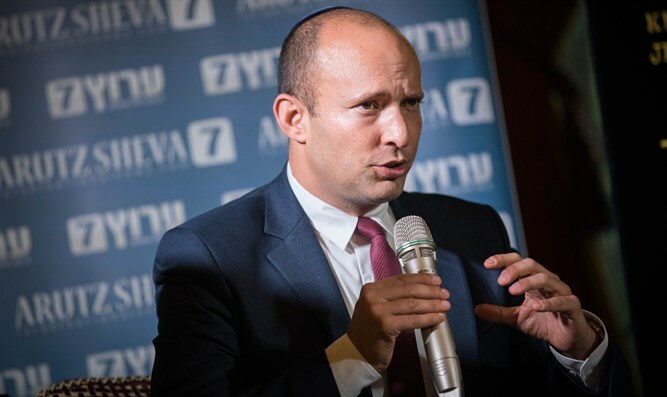 Education Minister and member of the Political Security Cabinet Naftali Bennett, addressed the economic and social situation in the south of Israel. "Residents of the Gaza vicinity face an impossible reality - thousands of dunams are being burned, and beyond that, they are in real danger to themselves and their children at any given moment, imagine that at night, where you live, a fire balloon can ignite your home.," Bennett said. That's the situation at the moment. Three weeks ago I slept at the house of the Suissa family in Kibbutz Kfar Aza on the night of a lot of shooting, and I experienced the situation somewhat - six times since midnight until 5 in the morning. When we got up, we went to the security room. We waited 2-3 minutes. Beyond the security aspect, you do not sleep at all at night and then in the morning all the residents of the outskirts of Gaza are like half people. We do not experience this in the center and do not really understand this issue," he said. Bennett implicitly referred to Construction Minister Yoav Galant, who said that Gazan children are the ones launching the incendiary terrorist kites. "I understand that there are ministers who disagree about the policy I am trying to advance and have not yet succeeded ... Look at the simple truth - these are not 8 year old innocent children and the kites they hold are not a toy. As for those who use a killing tool, they must be treated as a terrorist. He is not an 8 year old boy and it is a murder weapon that can kill people. " "These are not empty areas in another country. This is near Sderot, just a few meters from Sapir College. That's the situation at the moment. It's not in China and not in Kazakhstan. It's here in Israel. Minister Bennett replied, "I came to express my views, not your positions. We are in a democracy. I will always state my views and no one will silence me from saying my positions in Israeli democracy." A kite that lands in a kindergarten can bring about disaster and loss of human life, so I say clearly here: I will not let go until we adopt a new policy: stop firing at the terrorists and start firing at the terrorists. "The restraint inevitably leads to escalation. As soon as we are in control, we signal to the other side that there is a certain space in which they are allowed to fire balloons and firebombs. That is why they shoot a lot more - from one, to tens, to hundreds and thousands. And that necessarily leads us to escalation. Deterrence must be used with great force at first, and this usually resolves the problem."